We think focus is an important concept in the wine world. One of the most intriguing things about the subject of wine is that it is constantly changing and evolving. You can't possibly be an expert on every country, region and grape variety out there. Think of it this way. Australia was but a blip on the wine screen just a few years ago and now you can't walk into a retail shop without seeing shelves and shelves of the Aussie stuff. As you know by now if you are reading this blog, The Bon Vivant Wine Guide is focused on Bordeaux varietal wines. 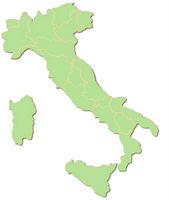 The main regions Bon Vivant covers are Bordeaux (naturally), California and Tuscany. The guide also covers other world regions delving into Bordeaux varietals including South Africa, Chile, Washington State, and the list goes on. We chose to focus on Bordeaux varietals because they are among the most iconic and collected wines in the world and, frankly, we really like 'em. Variety, however, is the spice of life and that is why we will occasionally look beyond the Bordeaux varietals to bring our subscribers information filled super reports on other illustrious countries and regions such as Italy and Champagne. If you are a fan of bold Barolos, velvety Brunellos and luscious Amarones, look no further than our Italian Super Reports scheduled for May and November each year. If you prefer a good bubbly -- celebration or not -- tune in to our Champagne & Sparkling Wine Super Reports biannually in June and December. The aim of these reports is to add value for our subscribers on subjects and wines that we are passionate and knowledgeable about. After all, we know that even those enthusiasts that are crazy about drinking and collecting Bordeaux varietal wines need to reboot the palate every once in a while!